Rummy is a popular game in our nation. Most people who are in India know how to play Indian Rummy. The game is a part of most festivities and we enjoy playing the game with friends and relatives. There are several variations of the game. However, some of these variations are very popular and when we refer to rummy, most of us mean one of these variations. Read along to know how each variation differs from the other. This way you can chance to play any of the variants with ease. Gin rummy is one of the most popular variant among rummy games played. In this game, the competition is held only between 2 players. Ten cards are distributed to each player. Then, the first 21 cards from the deck are placed as discard pile. The remaining are left as deck from which one may pick cards during his turn. The objective of the gin rummy game is same, to make melds and sets. Here, one thing you need to keep in mind as a player. The A is counted as a low point card with just one point. That is why a sequence of A, K and Q is not acceptable here. Another popular variant of rummy game which seems to have its origins in China is the Shanghai Rummy. The game is similar to contract rummy variant. In this variant, two decks of playing cards are used. The game maybe played between two to four players. In this variant of the game, you can use jokers only in a set of 3 cards or a sequence of 4 cards. In this game, you also have a chance to buy cards, which means exchanging a card you possess with another card in the deck when it is not your turn. You are allowed to do this just twice in one round of the game. The game becomes exciting because of the limited use of jokers and the stringent rules. The game of dummy rummy is pretty similar to Indian rummy. Even this game makes use of 13 cards per player. The game however differs in the fact that it ends as soon as the deck of cards is over. While the objective here is making sets and melds just like in Indian Rummy, the points too are counted differently. The cards from 3 to 9 are each having 5 points. All jokers and cards with 2 points are regarded as jokers. These maybe substituted in place of the real cards to complete the set. 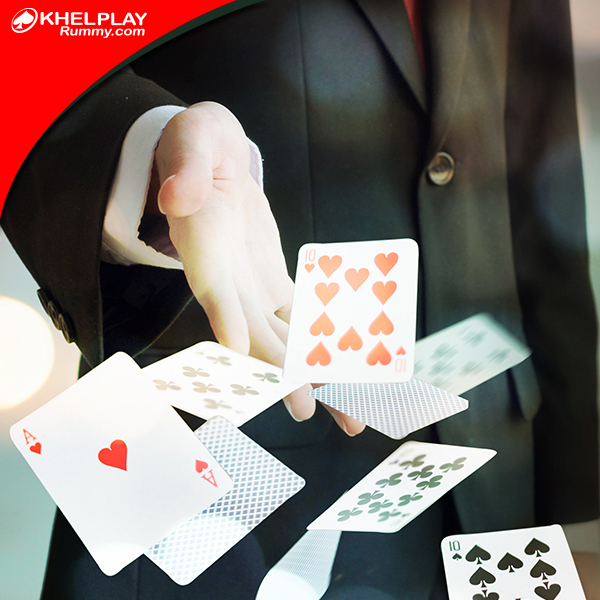 You can play rummy online on sites like Khelplayrummy and get an idea how to play with skilled players. Once you have grasped the key tactics, you may even try participating in some tournaments and make a few quick bucks by winning them. These days, there are several means to enhance your rummy playing skills online. Start today and enjoy the game online.